Here are screenshots of the latest version of Gnomoradio in action. 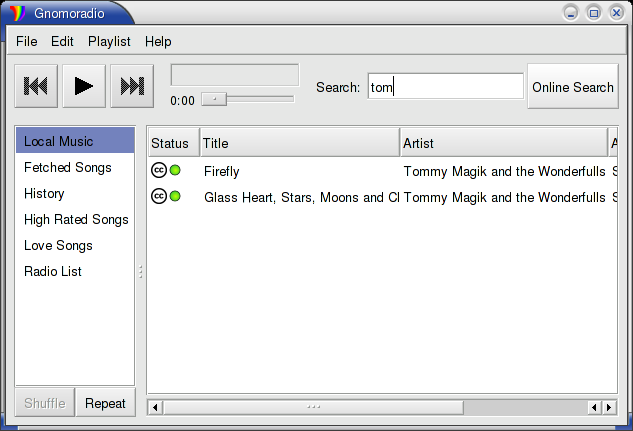 Gnomoradio can do an incremental search for local and downloaded music. If you would like, you can press enter or click "search online", and Gnomoradio will search for new songs that match the same query. Each song can be downloaded by double clicking on it. 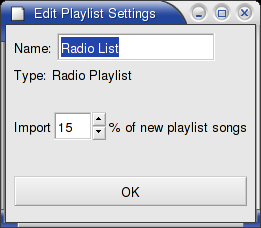 The Radio List contains a "radio broadcast" of songs picked by Gnomoradio. This will include some old songs as well as new music based on your ratings of songs. You can even choose how often new music is given to you. 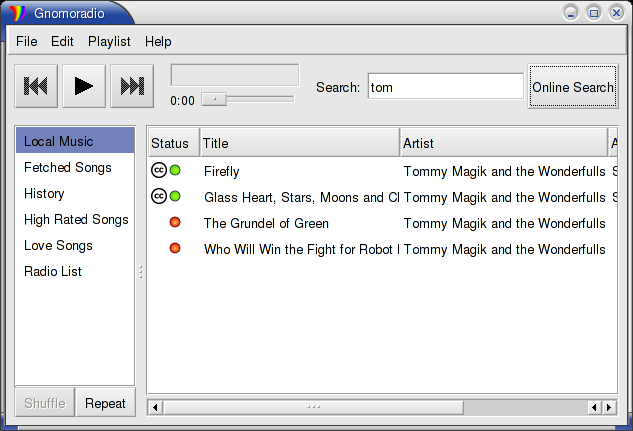 Gnomoradio also has a dynamic search list feature. Here is a list that contains this user's highest rated songs. 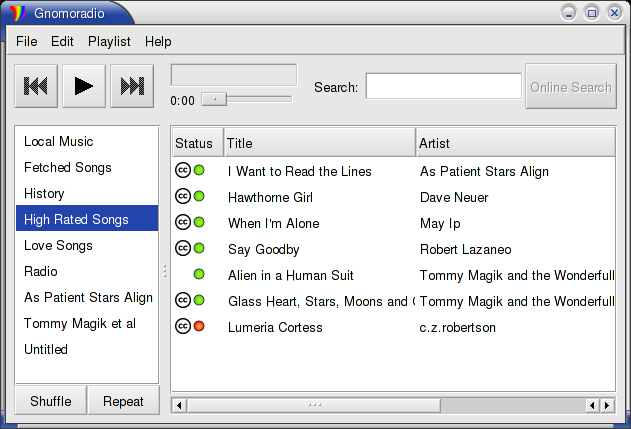 Notice the little "CC" logo beside sharable music. Each song has a right click menu that contains many options, ranging from "view song license" to "visit artist's web site" to "buy album." Ratings can also be easily manipulated from this menu. 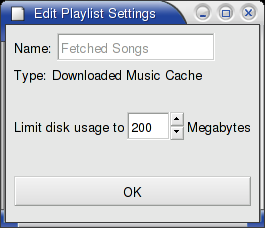 You can limit the amount of hard drive space that downloaded music can use. Your lowest rated, least played songs, will be deleted first from the hard drive. Still, they can be easily obtained again through the program, and all information about the song will remain. 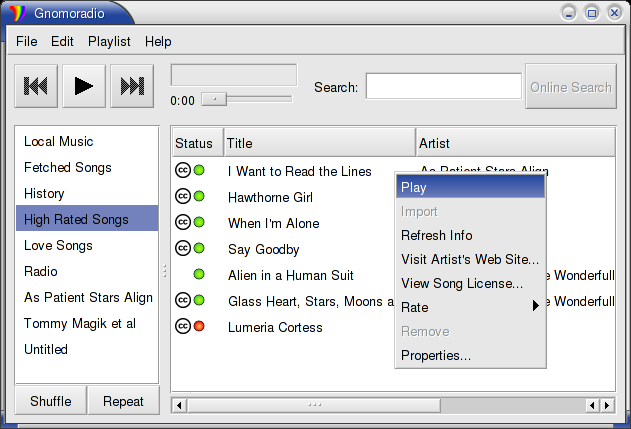 If you do not want your computer to share legal free music, for whatever reason, you can turn this off. 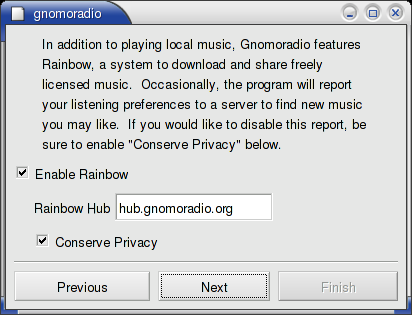 If you do not want Gnomoradio to report your song ratings to the main server, you can turn this feature off as well, but it will severely restrict the quality of the music you are recommended. Finally, if you would like to download a file, just enter its URL.